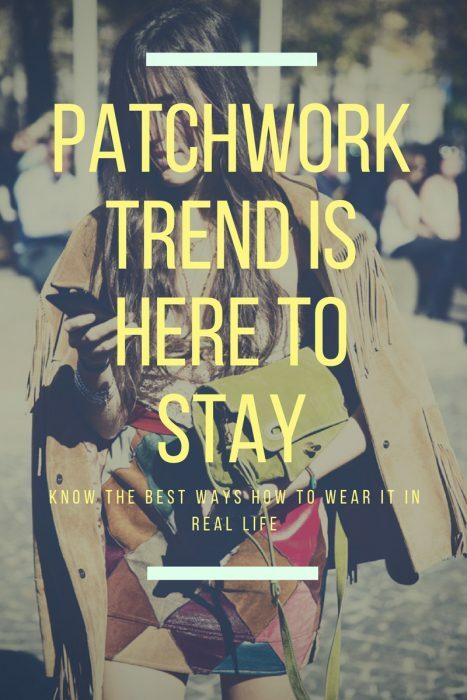 Patchwork trend is back and you better know ways how to wear them in real life. There is something beautiful about this edgy looking mess. It looks funny, youthful and creative. This beautiful addition comes in a form of original prints and patterns. Most of the times I see patchwork on denim, especially on boyfriend jeans, but you can find it on coats, pants, bags, tops, and dresses. The overall look reminds me of the 1970’s and 1990’s fashion where grunge meets hobo. In this article, I tried to gather only the best outfit ideas you can recreate this year, so take a close-up look through these ideas to see what’s hot right now.